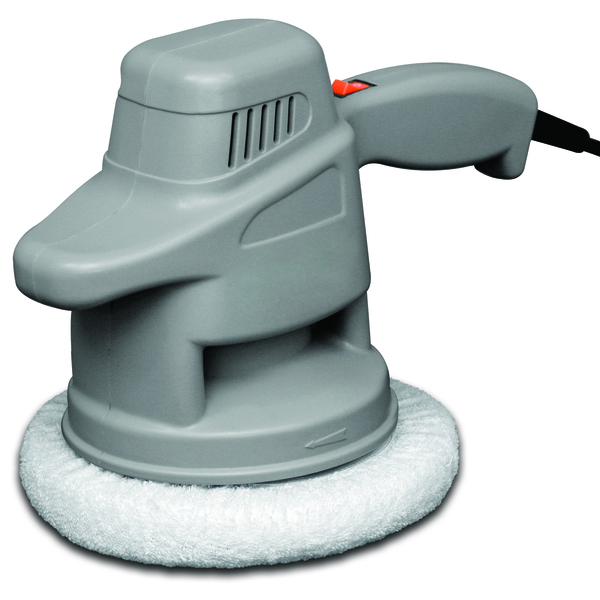 The WEST MARINE 6" AC Waxer/Polisher will Minimize your effort and maximize the results with this AC electric buffer. This random orbital buffer features a dynamic counterweight design that simulates hand polishing while reducing vibration. Soft foam pads follow the contours and curves of your boat to get the job done. Includes synthetic wool and terrycloth bonnets. Eight-Piece Bonnet Sets (sold separately) include four application, two terrycloth, one polishing plus one premium microfiber polishing bonnet. 120V AC. One-year limited warranty.